As we head into the next planning cycle we would like to get your feedback on the current apps and hear about your ideas and suggestions. Take this short survey and let us know what you think: http://aka.ms/PBIMobileplaning2017. We hope you enjoy this update and look forward to hearing your thoughts. We are getting amazing feedback from you on phone reports. If you haven’t tried them yet, check out our blog post to get started. 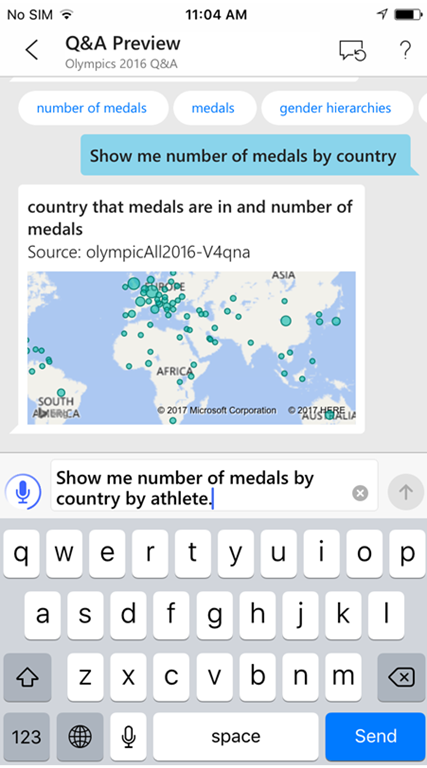 With phone reports, you can use Power BI Desktop to specifically tailor a portrait view of your existing report for mobile viewers. With this most recent update, we added support for different report background colors on mobile. If you define a background color in Power BI Desktop, the phone layout will maintain the same color. 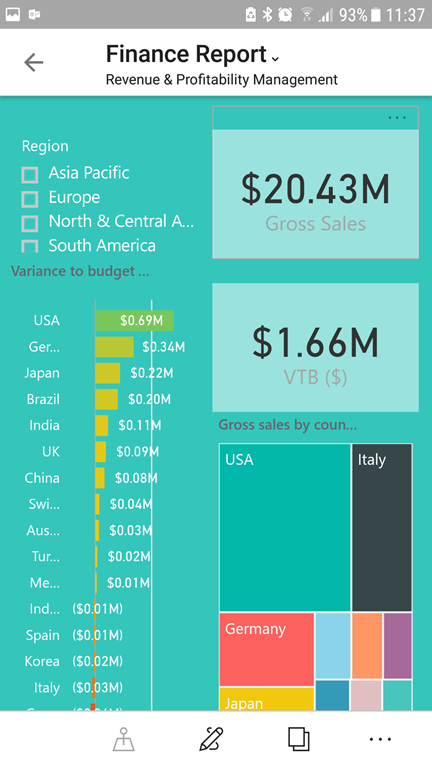 Power BI Mobile apps now support right-to-left languages. In this context, "right-to-left languages" refers to Hebrew and Arabic writing system that are written from right to left and require contextual shaping. If your data is in any of those languages, you will now be able to experience it in the correct direction. In the real world, voice is the easiest way to get information. Talking to people is easy! With today’s technology, your mobile phone is for more than just talking to people people — you can also talk to your data. With this release, you can use the microphone button in your iOS device to ask questions about your data, in your own words. We call this Conversational BI, and we think you're going to love it. 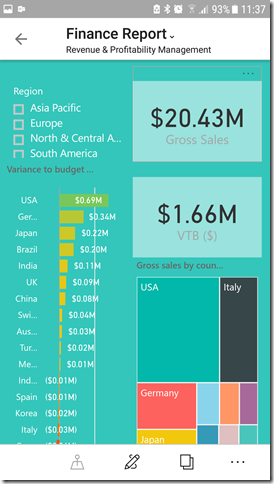 With Power BI custom visuals, developers can create new visualizations to present data in different and exciting ways. But how do these visuals render on a mobile device? Mobile consumption plays a major role in Power BI, and creating custom visuals that address the unique needs of mobile devices is a must in a mobile world. Follow this guide to discover how to build your custom visual for mobile devices. Learn how to map the desktop interaction to touch events, and how to render visuals nicely on small mobile devices. 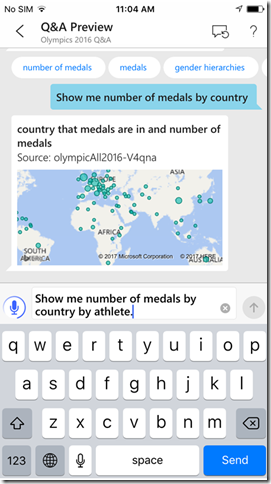 Have any feedback on this update or the Power BI Mobile apps? Join the community discussion and let us know!